Prime Minister Narendra Modi also appealed to the farmers to use scientific methods for modern farming. He asked them to use micro irrigation to increase production of foodgrain. Prime Minister Narendra Modi on Sunday laid stress on the need for second Green Revolution in the country. "There is an immediate need of Green Revolution in the country. The Green Revolution should immediately start in eastern India including Jharkhand, Bihar, eastern Uttar Pradesh, West Bengal, Odisha and Assam," said Modi. The prime minister was addressing the people at Barhi in Hazaribagh district of Jharkhand after laying the foundation stone of the Indian Agriculture Research Institute (IARI). IARI-Jharkhand would achieve inclusive agricultural growth through Integrated Farming Systems (IFS) in the region, an official release said in Ranchi. "The institute will attract the cream of post-graduate and doctoral students from all over India and abroad to conduct region-specific research. The major regional challenges will be addressed by the IARI-Jharkhand, through prioritised thrust areas of research, integrated with post-graduate education and extension programmes", the release said. "The government of India has started initiatives for the development of the region and decided to open the closed plants of fertilisers at Sindri of Jharkhand and Gorakhpur of Uttar Pradesh and opening new fertiliser plants in West Bengal. The opening of closed fertiliser plants and new plants will help the farmers and generate employment to youths," the prime minister said. 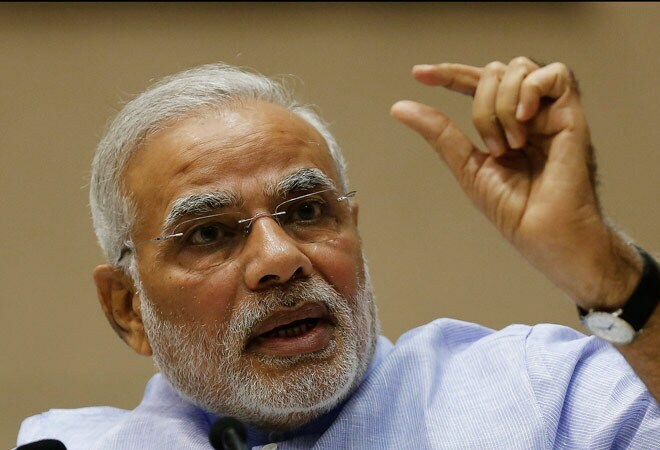 Modi also appealed to the farmers to use scientific methods for modern farming. He asked them to use micro irrigation to increase production of foodgrain. "I also appeal farmers to increase production of dalhan (pulses) as country still imports in large quantity of pulses. There is government policy to provide addition Minimum Support Price (MSP) to promote dalhan production in the country," he said. He expressed his concerns over the Indian farmers lagging behind in comparison to other countries' farmers. Besides Modi, Agriculture Minister Radha Mohan Singh, Jharkhand Governor Draupadi Murmu and Chief Minister Raghubar Das also present on the occasion.